Thinking of fresh Italian food? 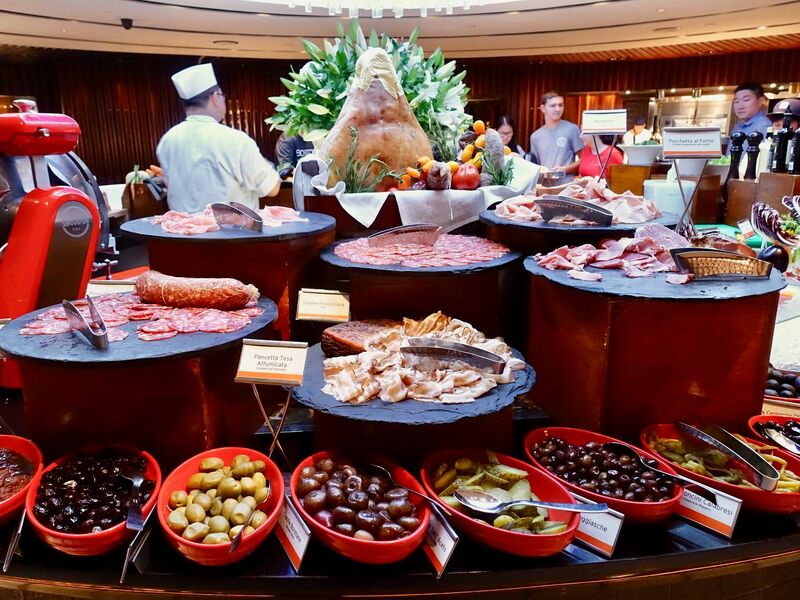 Head over to Basilico, Regent Singapore’s flagship Italian restaurant for a taste of the bountiful produce and ingredients that change each season. The seasonally-driven Basilissimo menu changes quarterly to reflect the time of year. There's always something exciting and fresh going on here. 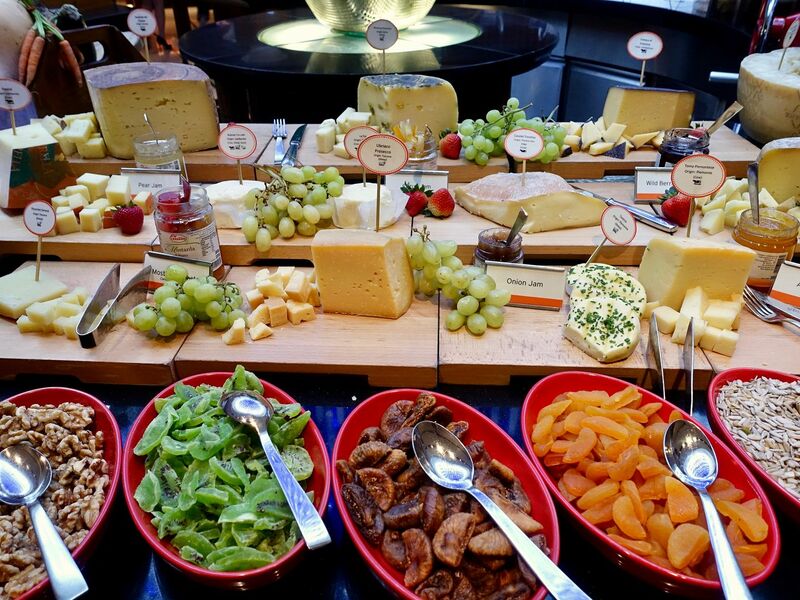 It's easy to go crazy with their semi buffet, which features a wide range of cheeses, cold cuts, and some seafood. I ended up with an entire plate of cheese as usual. Make sure you have their Grana Padana with truffle honey. 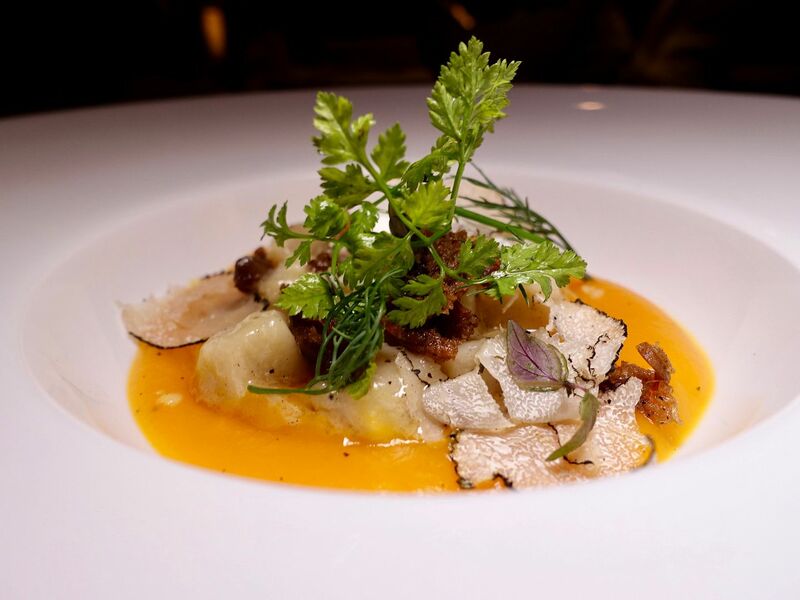 To top off this extravagance, Chef added more freshly shaved black truffles on my portion. Man knows his way to my stomach! Go easy on the starters though. 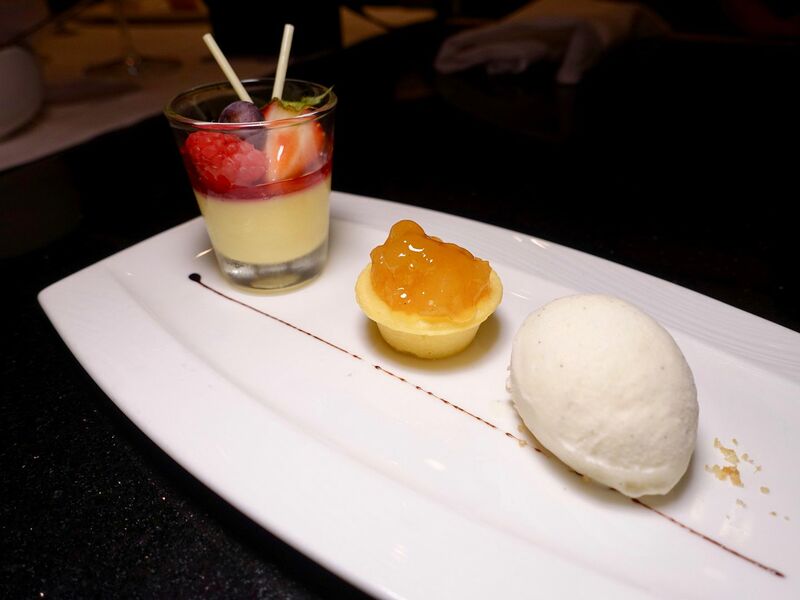 The daily dinner menu also includes a main course, and a dessert buffet at the end. For summer (2 Jun - 21 Sep), think light and refreshing meals that incorporate Italy's best seafood. 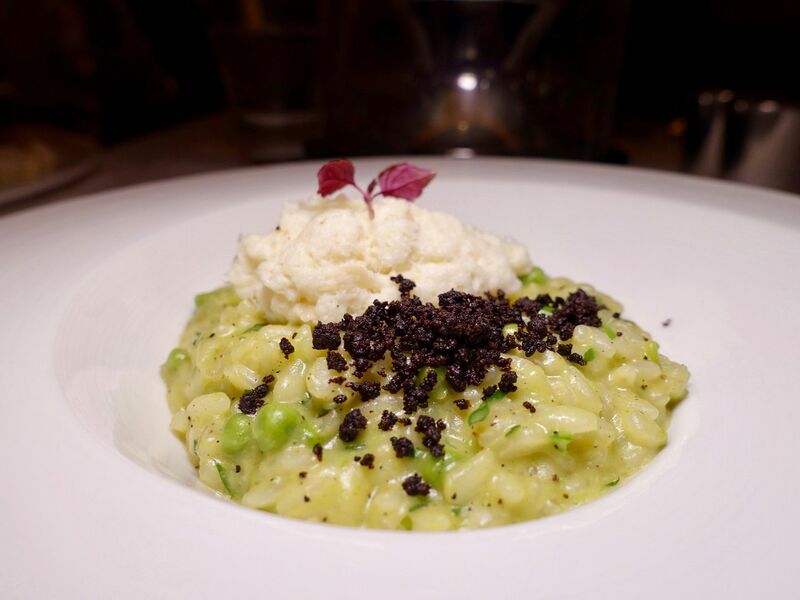 We had the Green Peas and Marjoram Risotto with Cured Cod Fish Cream and Taggiasche Olive Powder, from the north of Italy. If you like peas, then this would be a refreshing al dente mix for you. The blandness of the rice is slightly reduced by the bacalao but on the whole still bland and pea-ish (guess who's not a fan of peas?). Other summer mains include a Chitarra-style Spaghetti with Tuscan Extra Virgin Olive Oil, Garlic and Tiger Prawns served over a Basil Emulsion. Fast forward to Autumn (my favorite season) starting September 22 to January 1. Fall is full of earthy and hearty delicacies such as truffles, chestnuts and pumpkin. I absolutely adored the fluffy Chestnut Gnocchi sautéed in Butter and Sage with Pumpkin Veloute and Shredded Duck Leg! 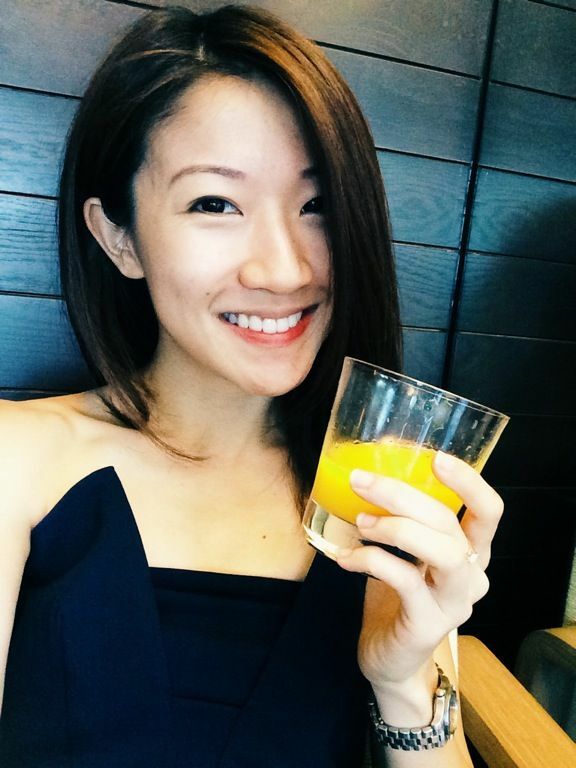 It's the best gnocchi i've had in Singapore in the longest time!! This dish has a nice mix of salty, sweet, smooth cream, and crunchy morsels. Definitely coming back for this! Also, look forward to Lobster Medallions with Black Eye Beans and San Marzano Tomato Stew with Fresh Herbs, among other mains. Another great main option is the Basilissimo for Two menu, which allows you to share a pot of gorgeous meat/seafood with your amante. I especially loved the Pentolone di Pesce! 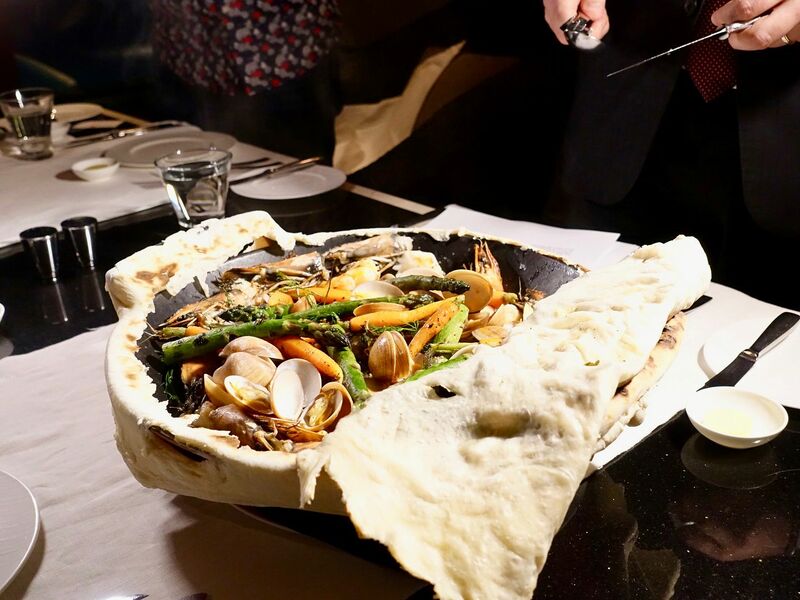 Sweet and succulent octopus, prawns, salmon, and clams are cooked over legume ragout and topped with thin pizza dough. The prawns are amazing in this one and we couldn't stop dipping the crispy thin dough (almost naan-like) into the umami stew. Ps. Go straight for the prawns. The Slow-cooked Wagyu Beef Brisket in Barolo Wine was very rich in flavor. 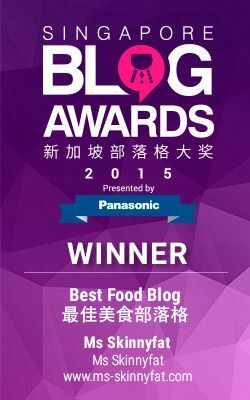 Well i can never resist beef and we hear that Basilico's customers can't either. 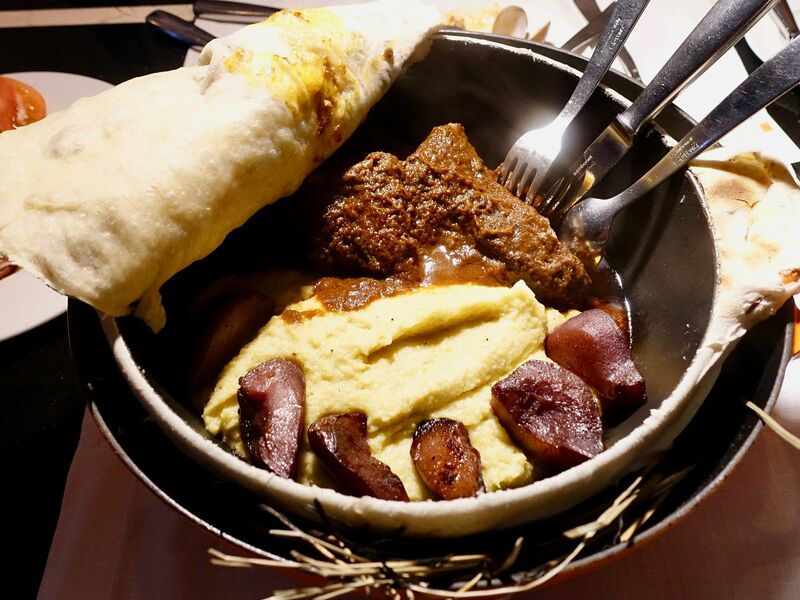 The dish is hay-smoked and served with soft polenta and caramelized poached pear. I found the flavors really punchy in this one but the beef was a tad dry though. The poached pears provided a juicy sweetness that distracts you from the saltiness of the gravy. Now back to the dessert spread of cakes, tarts, and freshly-made gelato. I loved the smooth dark chocolate and fragrant vanila. The Summer Berries Pudding was very smooth but there was too much sweet jam for me, which overwhelmed the light milkiness of the pudding. The Vanilla spiced Caramel Pear Tart was poppin good and it also surprised me by being less sweet than i expected.